Mailchimp Review: What is Mailchimp? Trying to decide between direct mail and email marketing? With the growth of smart mobile devices, more and more consumers and professionals are continuously connected to the internet, checking their emails on the way to work, during lunch, and even on weekends. This makes effective email marketing potential gold for any business. But as anyone who has tried running massive email campaigns will tell you, email marketing is either 1) messy and troublesome, or 2) expensive. That is when email marketing tools like Mailchimp swoop in to save you both frustration and money. Mailchimp is one of the many email marketing tool available to marketing professionals and business owners. This article is a review of Mailchimp’s service and functionality. When choosing an email campaign service, there are a few key features that are important to look for. Is it a fully hosted service? Sending a high volume of emails is stressful for any mail server, and sending HTML emails—the emails that look pretty with images—require those images to be hosted on a server. Although it is possible to run an email campaign through your ISP and the hosting your business’s website uses, having a full service email campaign tool that also sends the emails through their servers is ideal. It will save you any headaches of having to deal with your ISP’s spam or abuse department, and other unpleasantries that might come from that. Is the company reliable, trustworthy, and secure? It goes without saying that checking the credibility and reputation of the business you are about to trust with your customers’ personal information is an important step not to be skipped. If the pricing seems too good to be true, then chances are the company is too. Run a quick Google search on the company, check their about page, look at their contact information to make sure there is a physical address for the business and a way to contact support. Also make sure that their service is running on secure HTTPS and the data is encrypted. When dealing with your customers’ personal information, you want to take special care to safeguard it as best as possible. And be sure to try out giving their live support a whirl to make sure that they have real people ready to handle any problems that you might have. Make sure you ask yourself how secure is your email? Is it scalable and right for you? You might start off only needing to send out a monthly newsletter to only fifty customers or less, but what happens when you start expanding and need to distribute a newsletter more regularly and to thousands of subscribers? Will the email marketing service you are choosing be able to adjust and scale upwards to handle your growth? Or will you have to go through the labor of migrating all of your customer contacts, information, and email templates from one service to another? Even if it is something that seems far away, it is always good to plan for the long-term. I discovered Mailchimp through a friend who was using it for a small non-profit weekly newsletter. 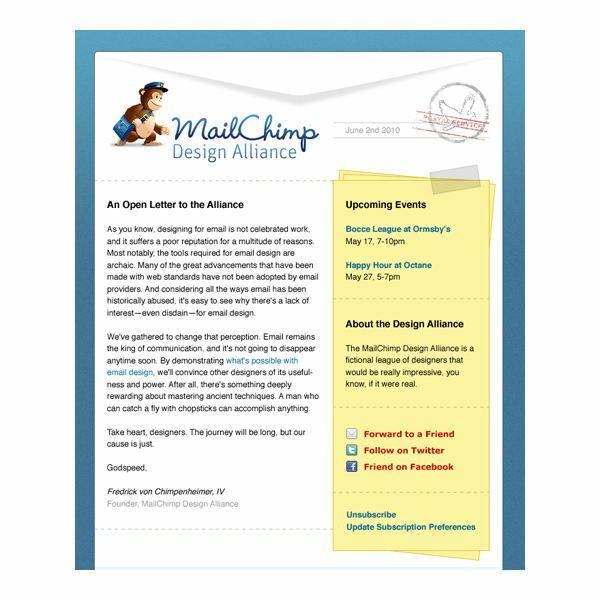 As a web designer, the clean-cut design of the newsletters appealed to me and the adorable little chimpanzee peaked my interest. Enter Mailchimp into my life. I began using Mailchimp for one of the small non-profits I run. We only have around 50 subscribers—mostly members and volunteers—but it was a good start to see how Mailchimp would fare. And thus begun my adventure with Mailchimp. 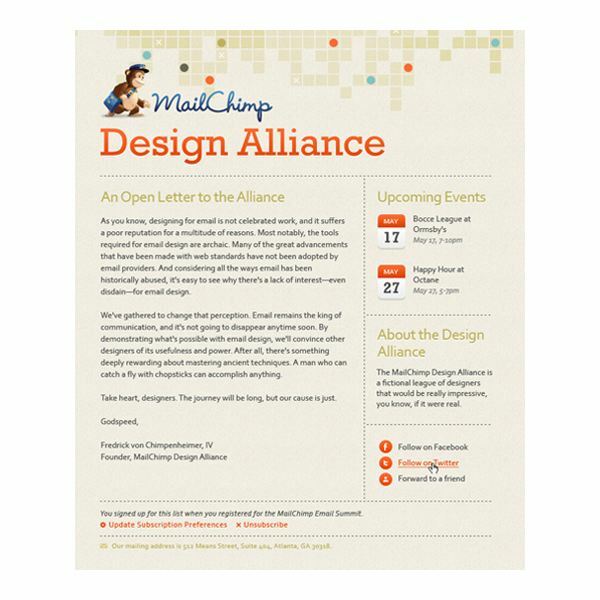 I am a firm believer that every effective email campaign ought to come with as a beautifully designed email. There are countless spammers and mass mailing newsletters that do not take the time to spiffy up their emails or their websites. Having a clean email design is a reflection of your business, and says to your readers that there is a certain level of quality to your messages that is above the status quo. Fortunately, Mailchimp makes great looking emails with just a click of a button through their premade email templates. You can choose from email templates ranging from single column layouts to multi-column layouts. You can also customize the fonts, colors, and look of any of these templates. And for advanced coders and designers, you can even create a template from scratch. Anyone who has a pre-existing database of emails for their clients, or already are using another email marketing tool, knows that transferring emails from one service to another or from excel can be a pain. To counteract this problem, Mailchimp has an import mass contacts feature. On top of easily importing your contacts, Mailchimp also stores information on all of your subscribers. This includes full name, email address, and other information that each subscriber can choose to edit and fill in. You can also copy or move subscribers from one list to another list. One of the tools that I really enjoy with Mailchimp is that it also offers social media sharing and cross-service integration. Many services offer a simple Facebook “share” option where a copy of your post is posted to your Facebook profile. Mailchimp, however, also tracks all of the clicks from any Facebook or Twitter users! The reports for your campaigns thus shows number of clicks and exposure from your social media and other cross-service integrations. 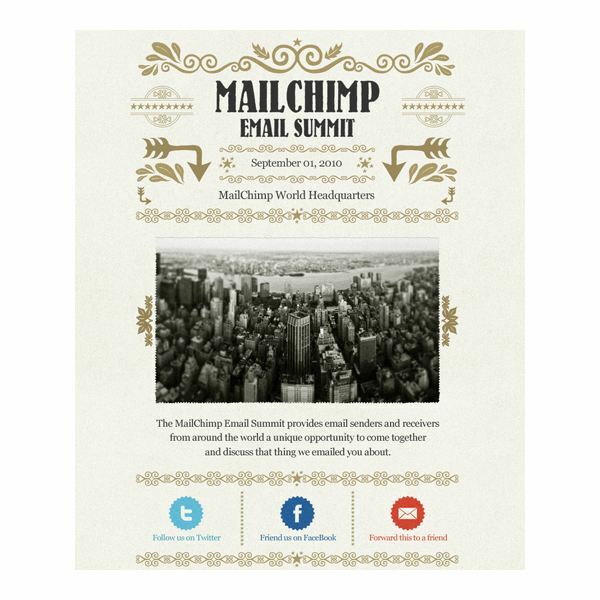 Mailchimp makes mixing email marketing with social media easy! Scalable, Affordable, & Full-Service = Bright Hub Stamp of Approval! Mailchimp comes with a free version that allows you to have up to 2,000 subscribers and send out up to 12,000 emails per month. This alone is enough for most small businesses, projects, and small organizations. But for those who are thirsty for the extra sending power can purchase a monthly or pay-as-you-go plan for as low as $10/mo for unlimited emails for up to 500 subscribers or prepay and be charged at anywhere from 3 cents to 0.5 cents per email. 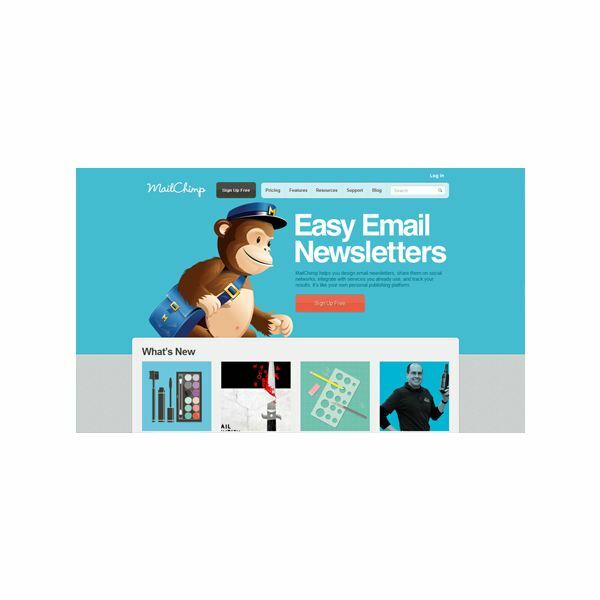 Mailchimp provides great, secure, and RELIABLE service for its customers, without compromising the design of both the newsletter templates and its own site. Web designers, developers, marketing professionals, and business owners no longer have to worry about emails clogging servers. With Mailchimp, all of your emails are sent through their powerhouse servers, and all of the comprehensive reports will be sure to make your clients or bosses happy. After a careful review of Mailchimp, it is the opinion of this writer that Mailchimp does indeed deserve the Bright Hub "Stamp of Approval"! It definitely deserves to be listed as part of the top third party email marketing tools! All images and screenshots are taken from Mailchimp.com and its services.